A leave of absence may be requested for professional engagements or sudden medical, family or personal situations. It is sometimes necessary for a student to be away from Manhattan School of Music for a few days to perform, take an audition, or for personal reasons. A limited leave of absence generally is not granted for a period more than two weeks per semester. The leave must be approved both by each of the student’s instructors and the Office of the Provost. The student remains registered for the semester and is responsible for all missed course work, exams, and juries, and for all fees associated with that semester. The semester leave of absence may be for one or two consecutive semesters. After that time a student must reapply and reaudition. The Registrar will determine the effective date of the leave. Leaves of absence with effective dates prior to the end of the Add/Drop period will result in the student being dropped from all course work. Effective dates after the end of Add/Drop will result in all courses on the student’s transcript for that term assigned grades of “W” to indicate a withdrawal from those courses. It is the responsibility of the student to notify the Office of the Registrar in writing when he or she intends to return from a leave. Staff in the Office of Financial Aid are available to discuss with students the financial implications of taking a leave. International students should meet with the Director of International Student Services to discuss implications for their visa status should they take a leave. MSM’s policy is that scholarship awards are not affected by leaves of absence and carry over into the semester the student returns from leave; at the conclusion of that semester, the student must pass a jury in order to maintain the scholarship. 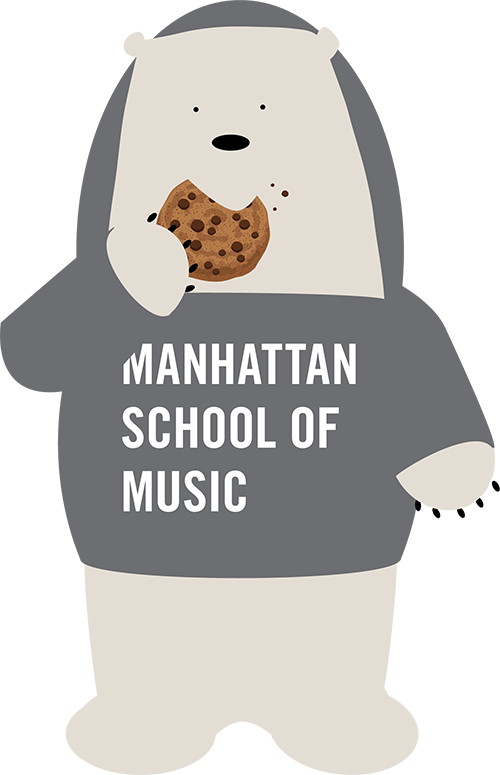 Manhattan School of Music is concerned about its students’ health and well-being, and believes that students should receive appropriate physical or mental health care when necessary. A student experiencing a physical or psychological condition that significantly impairs their ability to function successfully or safely as a student may decide that a period of time away from MSM for treatment or recovery helps to restore functioning to a level that will enable the student to return and perform successfully academically and within the campus community. Students may request that a medical leave of absence start during a semester in which they are currently enrolled, or start with the next semester on the academic calendar. In the event that a student starts a medical leave of absence during a semester, all courses on the student’s transcript for that term will be assigned grades of “W” to indicate a withdrawal from those courses. It is expected that a student on a medical leave of absence from MSM will use the leave for treatment and recovery. The School has established criteria regarding the student’s eligibility for returning to the campus community. These criteria include, but are not limited to, evidence that the condition which precipitated the medical leave of absence has been treated and has improved such that it will no longer adversely affect the student’s ability to participate as a student at MSM. Compliance with the treatment expectations is primary in the School’s decision to approve the return of the student to MSM. Students considering a medical leave are strongly encouraged to meet with a member of Student Affairs staff (Dean of Students, Counselor, Campus Health Nurse, etc.) to discuss their challenges and determine whether a leave is the best fit for their needs. Should the student decide to take a leave, they must fill out a request form (from the Registrar’s office), obtain medical documentation from a physician or mental health provider, and submit it to the Dean of Students for approval. Students may take a medical leave of absence for up to two semesters. Staff in the Office of Financial Aid are available to discuss with students the financial implications of taking a leave. International students should meet with the Director of International Student Services to discuss implications for their visa status should they take a leave. MSM’s policy is that scholarship awards are not affected by medical leaves and carry over into the semester the student returns from leave; at the conclusion of that semester, the student must pass a jury in order to maintain the scholarship. Manhattan School of Music cares deeply about the health, well-being, and overall success of all members of the MSM community. There are circumstances in which the School may need to remove a student to preserve the health and safety of the student or the community, as described in the policy below. When a student’s behavior presents a direct threat to the health or safety of the student or others, and supportive interventions to help the student modify the behavior while remaining in school have been unsuccessful, MSM may place a student on involuntary leave. This process is separate and distinct from the disciplinary process associated with violations of the Student Code of Conduct. Unless they are sanctioned separately through the disciplinary process, students on involuntary leave will not be considered to have a student conduct record. However, it is important to note that being placed on involuntary leave (or taking voluntary leave) does not insulate students from disciplinary action if they have violated the Code of Conduct, though the impact of their health concerns on the behavior leading to the violation may be taken into consideration when determining sanctions. The student has communicated through words or behaviors their unwillingness to engage with available supports or to modify the threatening behaviors. *Suicidal ideation or behavior, in and of itself, does not constitute grounds for placing a student on involuntary leave unless the above criteria are met. All members of the MSM community have a role to play in student health. If a faculty or staff member has a concern about a student’s health (mental or physical), they may encourage the student to utilize available support services (the Counseling Center, the Campus Health Nurse) and may also inform the Dean of Students or any other member of the C.A.R.E. team of their concern. In instances where there is concern that the health issue being faced by the student significantly impacts their academic or social functioning or has the potential to cause disruption to MSM’s learning community, the C.A.R.E. team may require the student to be evaluated by a campus counselor or nurse to determine whether/with what supports they are able to remain on campus and attending classes (including reasonable accommodations for qualifying disabilities). During the mandated assessment period and the involuntary leave process, the Dean of Students, in consultation with the C.A.R.E. team may impose an interim suspension. The evaluating clinician will promptly provide the C.A.R.E. team with their assessment of the student’s functioning and recommendations for supportive services (including the possibility of recommending the student take a medical leave of absence if warranted). The Dean of Students, in consultation with the C.A.R.E. team, will make the determination regarding whether the student may remain on campus or whether to encourage a voluntary leave or pursue an involuntary leave of absence. If it is determined that the student is able to safely remain on campus contingent on their engaging with supportive services (e.g., psychotherapy, substance abuse or eating disorder treatment, regular academic tutoring, etc. ), the Dean will issue a Statement of Expectations (SOE) to the student outlining the expectations for treatment. This may include a requirement that the student and/or their treatment provider(s) provide check-ins to the Dean or another School administrator at regular intervals to track the student’s progress and monitor their continued safety. The Dean (or designee) will meet with the student to go over the SOE, which will be signed by both the student and the Dean and reflects the student’s agreement to pursue appropriate supports and their understanding of potential consequences of not following through with the agreement. If the student does not agree to the expectations, they may appeal to the Provost. Such an appeal must include specific information about why the student objects to some or all of the expectations, including supporting evidence if the student believes the assessment is not clinically valid, or the expectations are unduly burdensome. The decision of the Provost will be final. Generally, the process of placing a student on involuntary leave begins with the Dean of Students, in collaboration with the C.A.R.E. team, initiating a Mandated Assessment as described above. If the results of the assessment suggest that the threat of harm to self or other posed by the student’s behavior is sufficiently severe that the student cannot safely remain on campus, the Dean of Students and one of the other members of the Student Affairs Team shall schedule a hearing with the student, to take place no sooner than two business days from the time the student is informed of the hearing. If the student is hospitalized or otherwise incapacitated or unavailable for an immediate hearing, the hearing shall take place no sooner than two business days after they become available. At the hearing, the Dean will give the student the opportunity to present any information or evidence they believe contravenes the decision of involuntary leave. The Dean will then issue a decision within two business days following the hearing. If the student believes the Dean’s decision did not take into account all evidence and contextual factors, they may appeal the decision to the Provost, providing additional evidence in support of their position. The Provost’s decision will be final. In cases where a student’s behavior poses an immediate threat to their own or others’ safety, the Dean may temporarily place the student on involuntary leave and take actions, in consultation with other relevant parties (e.g., Counseling staff, MSM administrators, C.A.R.E. Team, campus security, law enforcement, etc.) to remove the student from campus in order to ensure safety. In such instances, once the immediate threat has been addressed and the student is able to undergo the process, the policies for involuntary leave outlined above should be followed, including the opportunity for appeal if desired by the student. Ensure that MSM is adequately prepared to support students as they return to academics and housing. Sometimes a student may be hospitalized relatively briefly and may decide not to take a semester-long leave. In these cases, a student who has been discharged from the hospital and wishes to return to school must still undergo a Mandated Assessment with a Campus Health and Wellness staff member or a clinical psychologist designated by the School to assess their readiness to resume study and determine recommendations and expectations for support/ongoing treatment, as described above. Hospital discharge paperwork, though necessary, is not sufficient documentation to allow the student to return to campus; discharge personnel at the hospital should coordinate with the Dean of Students (or the MSM clinician who hospitalized the student, if applicable) to assure that a Mandated Assessment by MSM staff is conducted promptly following discharge. Students wishing to return to MSM after a medical leave of absence must inform the Dean of Students in writing of their intent by August 1 (for return in the Fall semester) or November 1 (for return in the Spring semester). The Dean will then connect students wishing to return from a Medical Leave with either the Campus Health Nurse or Mental Health Coordinator. Students must provide them with documentation from the medical and/or mental health providers from whom they have received treatment while on leave, summarizing the course of treatment and the provider’s assessment of their current level of functioning and readiness to resume study. In addition, when indicated and feasible, students may also be required to undergo an assessment with Health and Wellness Staff or a consulting community provider affiliated with MSM, the purpose of which is to assess the student’s ability specifically to meet the rigorous demands of their education at MSM, supplementing the more general assessment of their safety and functioning furnished by their treating provider(s). The student will provide this documentation to the Campus Health Nurse or Mental Health Coordinator no later than August 15 (Fall) or December 1 (Spring). The Dean will examine this documentation, make a decision regarding the student’s eligibility to return to MSM at that time, and inform the student in writing of their decision within one week of receiving the documentation. Until this decision is communicated, the student may not be on campus, attend classes, or participate in any school-related activities. If the Dean does not permit the student to resume, and the student believes this determination has not taken all available evidence into consideration, they may appeal the decision to the Provost, whose decision shall be final. Students not wishing to return to the School should formally withdraw. Withdrawal forms are available in the Office of the Registrar. Withdrawn students are required to apply to the School for readmission if they wish to return. Information regarding reapplication to the School and auditions are available from the Office of Admission and Financial Aid. For information regarding the financial implications of taking a leave of absence or withdrawing from the School, see Refunds in TUITION AND FEES in the School’s printed catalogue or on the Office of the Bursar page of this site. Please be advised that leaves and withdrawals may affect immigration status and/or financial aid. You should consult with those offices in advance of making your decision.